Adrian Stephen was born in 1883, the younger son of biographer Leslie Stephen and his wife Julia. His elder brother Thoby Stephen (b. 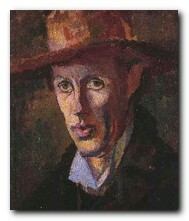 1880) died of typhoid in 1906, His elder sister was the artist Vanessa Bell (b. 1879), and his younger sister was the novelist Virginia Woolf (b. 1882). His mother was the niece of the Victorian photographer Julia Margaret Cameron, and she had previously been married to the publisher Herbert Duckworth, As a consequence Adrian had as half brothers George and Gerald Duckworth, both of whom were part of the large family that lived at Hyde Park Gate in Kensington. His father had also been married before – to the daughter of William Makepeace Thackery. Adrian was thought to be the particular favourite of his mother, and he was very distressed when she died suddenly in 1895 following an attack of influenza. He was very much the baby of the family, and felt overshadowed by his charismatic elder brother. 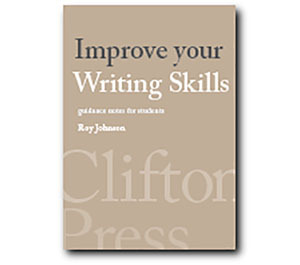 Even when he suddenly grew to become six feet five inches tall in his teens, he developed a chacteristic stoop, as if he could not cope with his height. He was educated at Westminster, the famous public school attached to Westminster Abbey in the centre of London. From there he went on to Trinity College Cambridge, and like his brother began to train to be a lawyer. But he gave this up, hoping to become an actor instead. When their father Sir Leslie died in 1904, the old Victorian family house in Kensington was sold and the Stephen children moved to Gordon Square in Bloomsbury, which at that time was considered a distinctly unfashionable part of London. The four Stephen siblings enjoyed living a slightly bohemian life, and Adrian had the advantage of meeting the celebrated friends of his elder bother who were invited to discuss art, literature, and philosophy on Thursday evenings. He met E.M.Forster, Clive Bell (who married his sister Vanessa) and David Garnett, plus the artist Duncan Grant. Among other visitors were the philosopher Bertrand Russell, the economist John Maynard Keynes, and Leonard Woolf, who married his other sister Virginia. 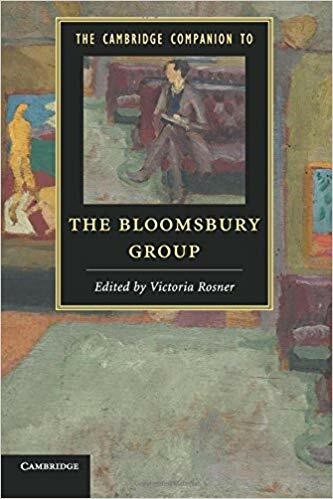 This was the collection of friends which eventually became known as the Bloomsbury Group. In 1910 Adrian took part in what became known as the ‘Dreadnought Hoax’. A group of people that included Adrian and his sister Virginia dressed up in Arab clothes and passed themselves off as a party of royal Abyssinian visitors making an inspection on board the warship HMS Dreadnought. Adrian acted as ‘interpreter’ to the group, who spoke to their hosts in a gibberish mixture of Latin and Greek. When the prank was uncovered, there was a scandal and calls were made for the ringleaders to be arrested – but it was discovered that they had not broken any law. It is an interesting footnote to history that one invented phrase they used to express vigorous approval of the military equipment they were shown was “Bunga! Bunga!” – which became popular thereafter. In 1909 Adrian began an affair with Duncan Grant, who was Lytton Strachey‘s cousin, but shortly before the first world war he married Karin Costelloe, a philosophy graduate from Newnham College, Cambridge. As conscientious objectors, they spent the war years working on a dairy farm. They were friends via the Bloomsbury Group with another branch of the Strachey family – James Strachey and his wife Alix, who were the first translators of Freud into the English language, and the first professionally qualified and practising psychoanalysts in Britain. This enthusiasm rubbed off onto Adrian and Karin, and after the war they both decided to become analysts, an ambition fulfilled for Adrian in 1926 after completing a medical degree. Like other members of the Bloomsbury Group, Adrian had been a pacifist during the first world war, but sickened by the brutality of the Germans during the second, he changed his stance and volunteered for medical service. He served actively as an army doctor at the age of sixty. He died in 1948, after which his wife committed suicide.